The compelling contrarian positions put forth during Come@Me Week undoubtedly had many of you questioning your core beliefs about birds, birding, conservation, and even basic biology. Fortunately, when we need to clear our heads and reconnect with what makes sense, we can turn to birds, birding, conservation, and basic biology, in a matter of speaking. That is as it should be. We honor the issues that matter most to us by reassessing our perspectives regularly, actively resisting complacency, and considering different perspectives that challenge our own. New York state is burning right now, or at least the air feels as if it’s on fire. Raptors seem much happier with the current heat wave than most people I know, if the ubiquity of Red-tailed Hawks surfing thermals along the Thruway means anything. Corey did not see much that was too exciting in what little birding he did during a scorcher of a weekend in New York City. Of the birds he did see he most appreciated digiscoping some Common Terns so those will do as his Best Bird of the Weekend. Harvest season on our grain fields has started, and I had a nice group of 12 white storks, 8 black kites and 2 common buzzards here in Heidelberg. In Germany’s North-east, this is an exciting time when one might find many more species of raptors on such fields, including Lesser Spotted Eagles. But for Heidelberg, the kites and storks were sweet. I had two all-white Rock Doves (wedding escapees?) foraging on a grassy knoll at Temple University (seen from a SEPTA window on my way to Philly’s Families Belong Together rally), but the top bird probably should go to the Laughing Gulls we managed to get down the shore to Ventnor, NJ to see–baby’s first dip in the ocean! As cool as the Atlantic Puffins were, I have to go with the Artic Skua. 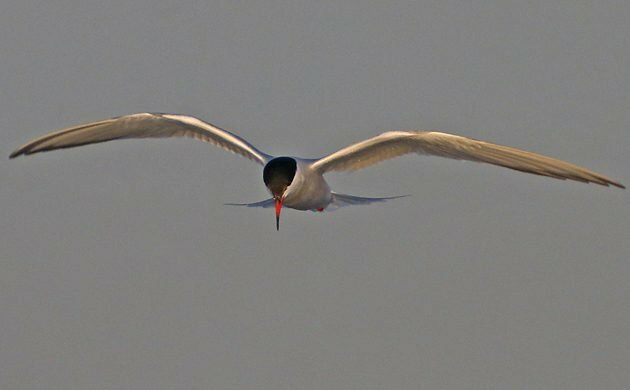 It was in an aerial battle with a Black-headed Gull, spinning and spinning towards the water, when the broke apart just before hitting. This was above a little Loch, just south of Dunnet Head, the northern most point of land in Scotland. Where Are You Birding This Second Weekend of January 2018?